Is your tire cracking & Bulging? Your tire will have large and small cracks and pimple like(bulging) look to it. We live in weather that is very harsh on our tires, so we end up with larger then usual "potholes". Continually hitting these will cause the "pimple" like appearance in your "tire". 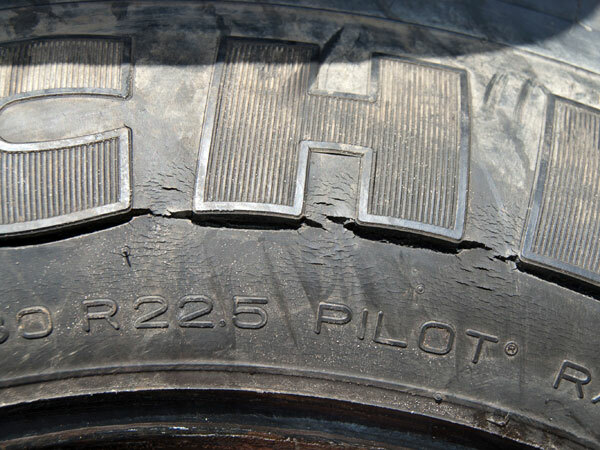 When you have these cracks and/or bulging you need to replace this tire, it will become flat eventually.